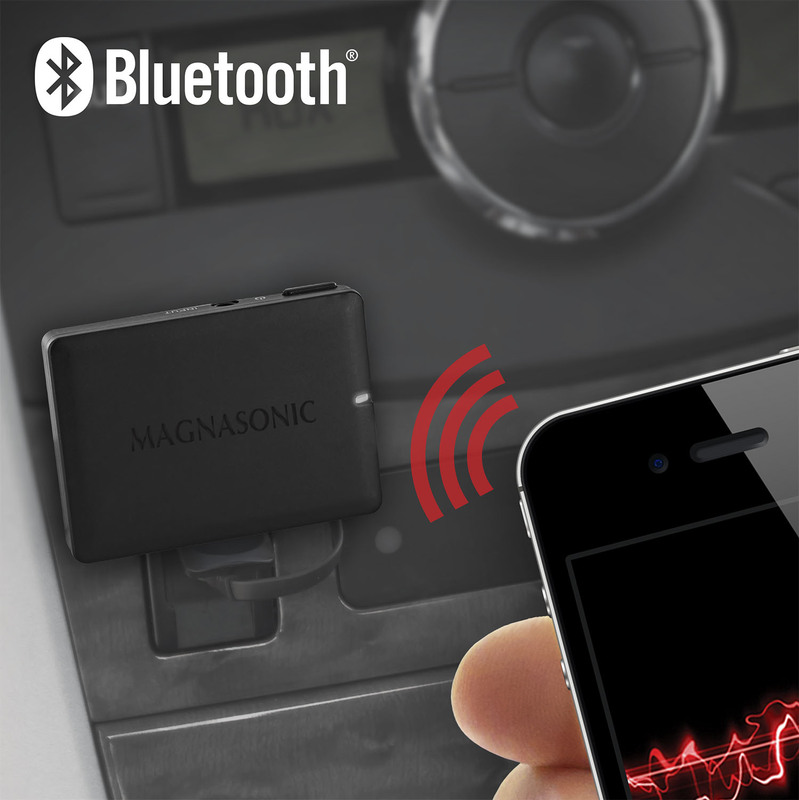 Make your music listening experience more enjoyable with this Portable Bluetooth Music receiver by Magnasonic. If you're carpooling in a friend's car, relaxing in the backyard for a barbecue or hanging out at home, you can instantly get the great music you love. Stream everything wirelessly thanks to Bluetooth, and use a range of different devices like smartphones, tablets or laptops depending on where your playlists are streaming from. Advanced wireless technology delivers crystal clear audio up to 33 feet. 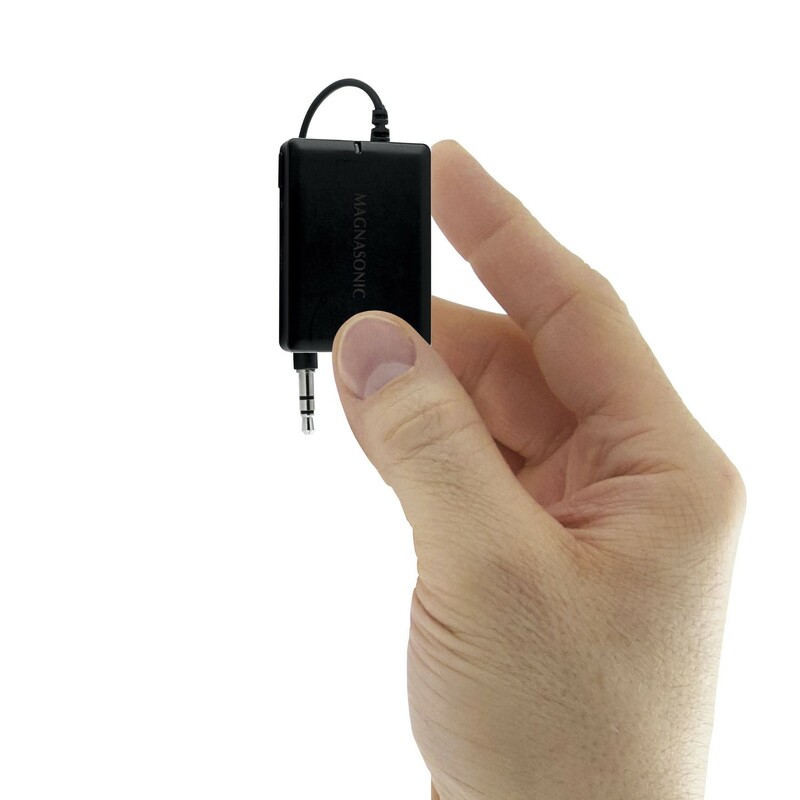 The Magnasonic Portable Music Receiver is designed to deliver the fullest frequency range of your favorite tunes without any interference, unlike other Bluetooth devices that over-compress audio and can lose connection with your device. Powered by a built-in battery, this receiver lets you start streaming your tunes to any stereo system without having to connect the receiver to a power outlet. Just plug into any 3.5mm aux input and with the touch of a button you can avoid the hassle of messy cables crowding your center console or limiting your stereo setup. 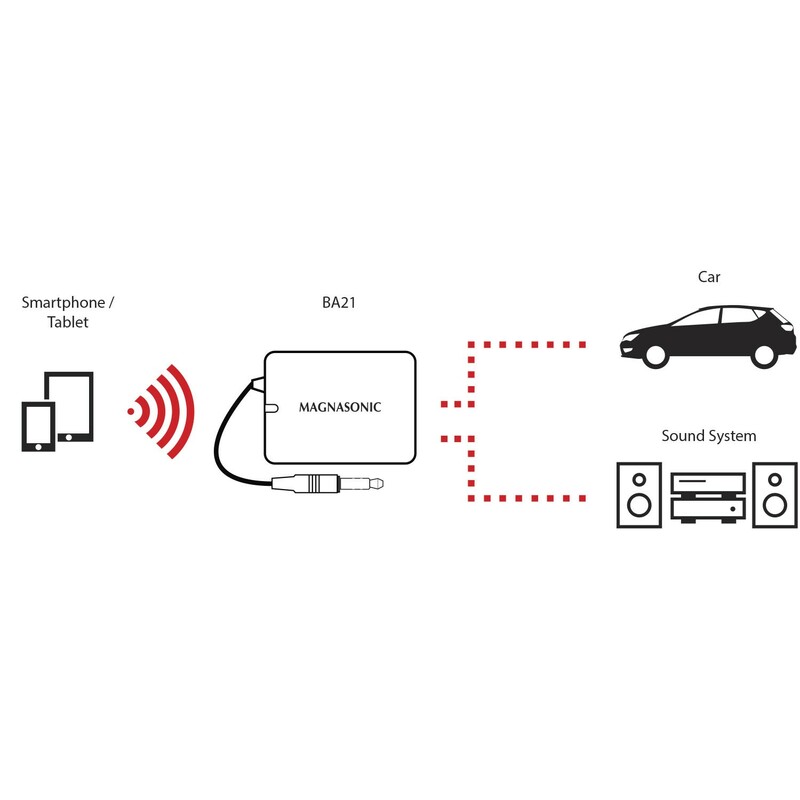 Enjoy music freely in your car or home for up to 12 hours on a single charge. As soon as you turn the receiver on, your smartphone will automatically connect (auto-pair) so you can get listening quickly. Control your music from your smartphone or using the receivers simple interface - play, pause, or skip tracks with just one button. Voice notifications when power turned on/off, low battery, and connection status. Share, control, and listen to music through your speaker system without wiring or docking your smartphone. Setup is extremely simple - plug the receiver into your music system, wirelessly pair your audio device, and you're set. No software or app required. Take it wherever you go. Plug into a friend’s car stereo, and let anyone with a Bluetooth audio device start streaming in seconds. Entertain guests at your next party by streaming iTunes, Pandora, Songza, Spotify, or SoundCloud wirelessly over your home speaker or docking system.